The Northern New Jersey Association for Talent Development is celebrating Employee Learning Week with a series of FREE lunch-time webinars! Success stories are great, but it's the projects that don't go quite as planned are the ones we hear about all-too-infrequently, but they are the ones we should be hearing more about. Let's face it, we've all been there before; someone "needs some learning done" and they need it yesterday. It's almost never pretty, and we all swear we will never let it happen to us again. Right? This is one of those stories. While working on assignment for the Royal Canadian Air Force, Mark had one of these short-notice projects thrust at him, and the story of the frustrations, surprise wins, and unintended consequences is worth the re-telling. As a seasoned practitioner, speaker, and recovering blogger, Mark Sheppard is no stranger to the rapidly changing landscape of the L&D scene. He cheerfully embraces his inner geek and channels that energy into putting technology to work in the learning process. His work has been recognized with awards ranging from the eLearning Guild to the Royal Canadian Air Force. He has shared his expertise and insights with audiences in Canada, the US, and Australia. He believes in the the "art of the possible", the power of innovation and challenging expectations. He holds a Certificate in Adult Training and Development from OISE, a Certificate in Human Resources Management from Seneca College, and a Masters Degree in Learning & Technology from Royal Roads University. Employee Learning Week is an awareness campaign highlighting the important connection between learning and achieving organizational results. All organizations are encouraged to recognize Employee Learning Week by rededicating themselves to employee learning. 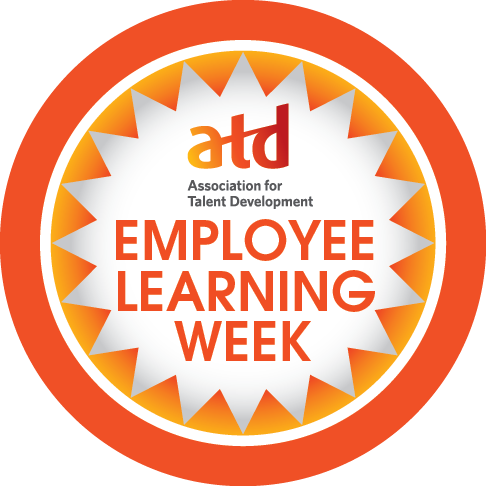 For more information about ATD Employee Learning Week 2016 visit the ATD website: https://www.td.org/About/ATD-Employee-Learning-Week , or email elw@td.org.